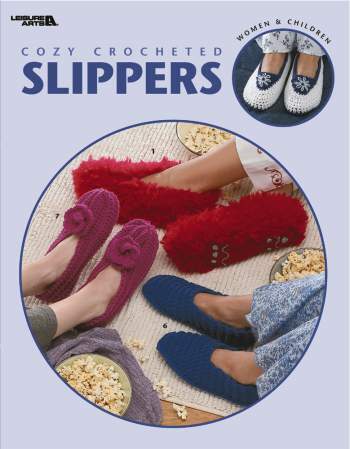 Everyone will love these comfy slippers - Whether you choose pastel or bright colors, these easy-to-make slip-on's will be used the minute they're completed! Make a pair for yourself, or several pairs as gifts. Comes with simple instructions, handy stitching tips, and color photography of the finished projects. 20-pages.